Antonio Deruda offers diplomats and international officers custom on-site training on digital diplomacy and social media. The programs are flexible and specifically tailored to accommodate participants’ needs and experience levels. The trainer works hand in hand with the client to determine the learning objectives, the type and length of training that is most appropriate and the ideal content coverage. Being focused on each client’s specific needs, all the programs feature a combination of training and mentoring services. – Mastering the main social media tools, such as Twitter, Facebook, YouTube, LinkedIn, etc. 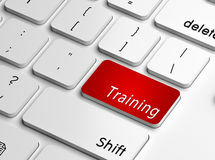 The training sessions provide participants with an interactive and stimulating learning experience. Participation is encouraged in a supportive learning environment: the theory is reinforced through a mix of open discussion, case studies and group work. Please send an email to training@digitaldiplomacyhandbook.com to inquire about the course offerings. Antonio Deruda is a communications consultant and trainer with 15 years of international experience and a strong background in digital diplomacy. He teaches postgraduate courses in digital diplomacy and international communication and offers custom training on digital diplomacy, social media marketing and crisis communication management for multinational companies, international organizations and governments. Clients range from United Nations agencies to European Union, from Foreign and Defense Ministries to multinational companies. 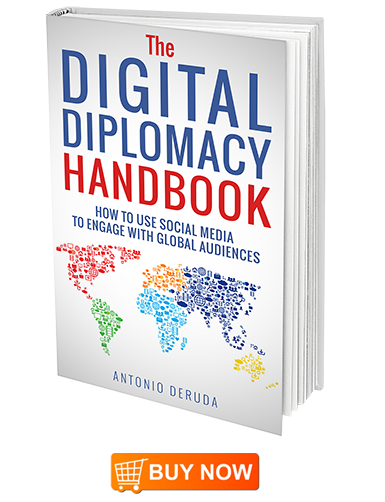 Antonio is the author of “The Digital Diplomacy Handbook”, the first practical guide on how to use social media to engage with global audiences and of “Digital Diplomacy, Foreign Policy and Social Media”, the first comprehensive study on this groundbreaking phenomenon.